Better Ways to Engage Customers. Want to Know More? If you want new strategies for driving revenue and acquiring more (and better!) customers, then you won’t want to miss the upcoming Customer Acquisition Symposium DC-2015. 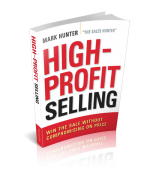 On November 13 in McLean, VA, I will be speaking with 5 other sales thought leaders at the symposium. B2B sales professionals will benefit greatly from the TED-like presentations and interactive sessions. The Institute for Excellence in Sales is sponsoring the symposium. To register, go to this link. To see more information about the symposium and the speakers, go to this link. I look forward to see you at the Customer Acquisition Symposium DC-2015. Such a great investment in yourself!